The Wits Language School ran a competition to help one lucky student further their studies. THE English for Academic Unit at the Wits Language School recently ran a selfie competition offering one lucky student a chance to win a free ‘English for Academic Development’ course to the value of over R5 000. The competition ran over a three week period and saw about 100 people enter, with the winner having been announced on Tuesday, July 25. Prospective winners entered the competition for various reasons, including a desire to improve their English and writing skills as well as needing funding to further their education. The winner of the competition was 25-year-old Masters of Arts in Social Work student, Thembinkosi Singwane, who entered in the competition because of his interest in language. Singwane said that he thought there was no way he could win the competition and was “flabbergasted” when he saw the email that announced him as the winner. Singwane said “it feels great to win; it encourages me to take my chances in life”. “I am planning on using this course to improve my writing skills as I am always open to learning. 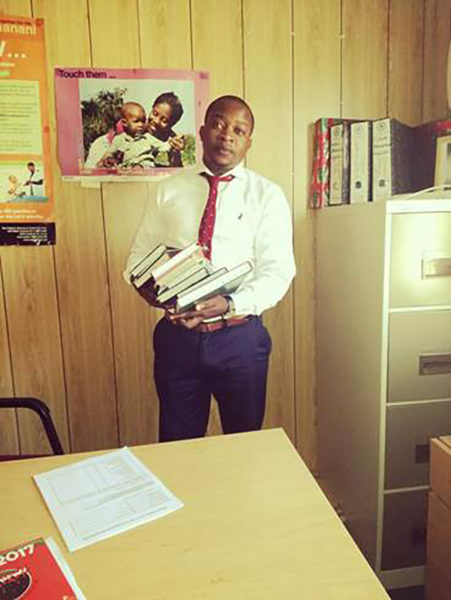 I also plan on using everything I learn towards writing my dissertation and at any social work and court reports which I may have to write in the future”, Singwane said. Singwane entered the competition while taking a break from writing his research proposal. He says that he ultimately wants to stay in academia after he completes his Master’s degree. “I am very passionate about academia. So I want to finish my Masters and possibly enroll for my PHD to have better chances of being considered for the academic fraternity,” he said. The Wits Language School will be running another competition next month in celebration of their 20th birthday.